A jumbo loan is a mortgage with an amount greater than the local conforming loan limit. These conforming limits can change each year when the Federal Housing Finance Agency, or FHFA, compares the national median home value in the fall with the median value one year earlier. If the value increases the new conforming loan limit for the following year is adjusted by the same percentage increase. If there is no change or the values actually fall from year to year, the conforming limit remains the same for the following year. Conforming loans are those that “conform” to guidelines set by Fannie Mae and Freddie Mac. For 2019, the conforming loan limit is $484,350. In smaller pockets of the country where median home values are much higher than the national median, the conforming loan limit can be as high as $726,525. An amount beyond these limits falls into the Jumbo category. Jumbo approval guidelines are a bit more stringent compared to conforming loans. 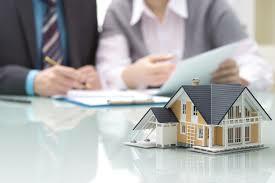 This is primarily due to the additional risk a lender takes when funding a high balance loan. There is no secondary market to sell a jumbo loan as there is for conforming so a jumbo application will require a little more scrutiny. To better prepare for a Jumbo loan approval, here are 10 things you can do to help smooth the process. Credit Check. Minimum credit scores for most jumbo programs range from 680 to 740. You can compare that with the 620 minimum for a conforming loan and 580 for most government-backed programs. The lender will request a credit score from Experian, TransUnion and Equifax. Of the three scores, the lender will use the middle one as the qualifying score. Get a free credit report at www.annualcreditreport.com and look for mistakes. Note however that while the report you see will be similar to the one lenders use, it won’t be exactly the same. Lenders use FICO scores while consumers can receive a Vantage score. Pay Stubs. Be prepared to provide the most recent copies of your check stubs from your employer. These stubs should be for a pay period of 60 days and show both a monthly amount and a year-to-date total. W2 Forms. It’s time to gather up the last two years of W2 forms from all employers. The amounts on the W2 forms should align with the year-to-date amounts shown on your check stubs. Two years of W2 forms also verifies a two-year history of employment, a jumbo requirement. Tax Returns. If you’re self-employed or you receive more than 25% of your income from sources outside of an employer, you’ll need to provide the last two years of your federal income tax returns. For all borrowers, you will also sign a form referred to as the IRS form 4506-T. This form gives the lender permission to independently pull previous years’ tax transcripts. Profit and Loss Statement. Again, if you’re self-employed, you’ll need to prepare a year-to-date profit and loss statement. You may put one together yourself or the lender may ask for one prepared by your accountant. Down Payment. Most jumbo loans need a down payment of at least 5% of the sales price to keep the loan balance at 95% of the value of the property. 100% financing for Jumbo loans is not available. Also note, if you put down 10% or more you can expect a slightly lower interest rate. Read more about down payment requirements and loan limits on the Jumbo Loan Page. Bank Statements. To independently verify you have enough available funds to close, including funds for your down payment and closing costs, you will be asked to provide the most recent copies from the accounts where the available funds are located, such as a savings account, checking account or investment account. Cash Reserves. Cash reserves are defined by the number of months’ worth of PITI, or principal and interest, taxes and insurance. Nearly all loan programs require some amount of cash reserves. Conforming loan programs ask for two to three months’ of house payments left over after the loan has funded. Jumbo loan programs require up to 6-12 months of reserves. The exact amount is really dependant on the down payment and credit profile of the borrower. If the total PITI is $4,000 and the reserve minimum is 12 months, there needs to be another $48,000 of liquid and semi-liquid cash identified. Second Lien. If you do not wish to make a 20% down payment you can use a combination of a first and a second mortgage. The first mortgage would still be at 80% of the sales price but you can make a 10% or even a 5% down payment along with a second mortgage making up the difference between your down payment and the first mortgage. An 80-10-10 loan is a structure representing the 80% first, a 10% second lien and a 10% down payment. Interest Rates. Be prepared for slightly higher interest rates with a jumbo loan. This is especially true when the down payment is 10% or less. Interest rates have historically been slightly higher compared to conforming loans, although at times they’ve been almost the same. Finally, remember there is no secondary market for jumbo loans as jumbo lenders set their own internal guidelines. That means besides these 10 things you can do to help prepare for a jumbo loan application there can be other individual guidelines. A loan program might require a 10% down payment and a 720 credit score for the best rate and adjust the rate accordingly if the qualifying credit score is 680. This requires a complete conversation with your loan officer who will provide you with all the documentation needed and qualifying guidelines. In general, if you’ve have solid credit, a good down payment and healthy cash reserves, you should have no problem getting your next jumbo mortgage. Please reach out to us today with questions by calling the number above, or just submit the Request Contact Form on this page.